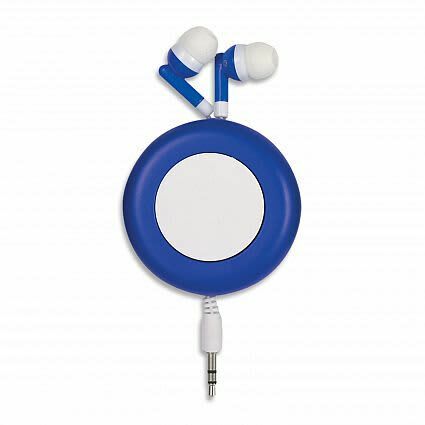 This is a set of handy retractable earbuds with a 102 cm cord which gives your more flexibility to move around. 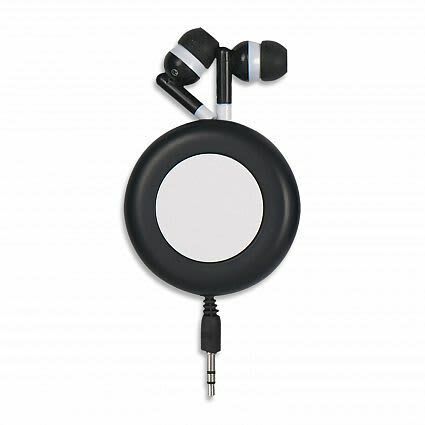 Simply push the centre button to retract them back into the compact case. 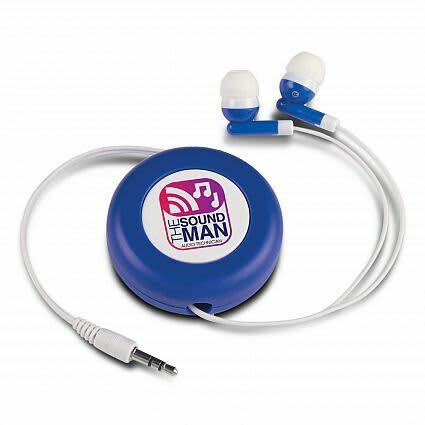 They will fit easily into your pocket or backpack so you can carry your music around with you. 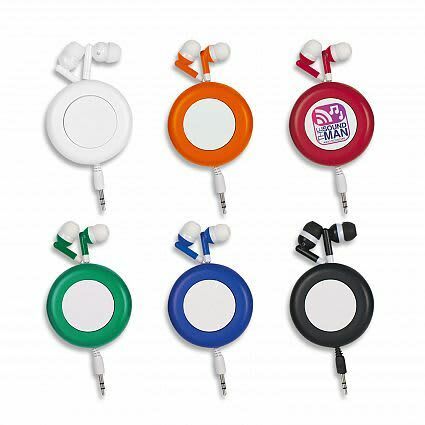 These earbuds would suit any youth or student event or organisation. White, Orange, Red, Green, Blue, Black. Pad Print 25mm Circle (two colour max).